Dan Loeb seems to be bidding against himself at Sotheby’s. The Third Point hedge fund activist surprised the auctioneer by nominating three directors to run against the incumbents, even after the firm offered him one uncontested board seat and even acted on some of his gripes. Sotheby’s isn’t the likeliest company to find itself in an activist’s crosshairs anyway. Its stock is up 45 percent in the past 12 months. Last year was a strong one for its art sales, too, albeit with the notable exception of the big contemporary category, where bragging rights went to rival Christie’s. Moreover, activists mostly start proxy hostilities only if a target is largely ignoring them. Sotheby’s was doing at least some of what Loeb had demanded. The company says it held meetings and conference calls with Third Point. Even Loeb expressed grudging approval of recent changes, including a new approach to capital allocation announced last month which, among other things, involves a $300 million special dividend. The proffered single board seat, along with committee positions, would also have been representative of Third Point’s reported 9.5 percent stake, assuming the board remained 12-strong. Loeb’s written volleys suggest he is capable of holding his own, though there may be a case for more than one fresh voice in the boardroom. Loeb still has a reasonable gripe with the poison pill Sotheby’s adopted soon after he emerged as an investor – and that may increase support for him and his other two nominees from other shareholders. It’s also a fair criticism that the current board owns less than 1 percent of the company, by Loeb’s count. And he argues that his candidates bring other skills, like Harry Wilson’s turnaround expertise, to the “formidable” task ahead. At least superficially, Loeb has now spurned Sotheby’s attempts to listen to him. The alternative approach leads to poison pills and proxy fights. Loeb has his reasons, but he may just have discouraged other targets from engaging with shareholder agitators. A video display panel is seen outside Sotheby's in London October 4, 2013. Hedge fund Third Point, founded by Dan Loeb, on Feb. 27 said it would nominate three directors to the board of Sotheby’s, the art auctioneer whose strategy the fund first publicly criticized in October. The fund reported a 9.5 percent stake in the company. Sotheby’s said it was “disappointed” Third Point had chosen to nominate its own directors. The company offered activist Loeb a board seat and roles on three board committees, Sotheby’s said, as well as meeting and sharing information with Third Point. The company also said it had considered the fund’s views in developing its recently announced capital and financial plans. Third Point’s three proposed directors are: Loeb himself; Harry Wilson, a corporate turnaround specialist who served on the board of Yahoo with Loeb from May 2012 until July 2013; and Olivier Reza, head of Paris jeweler Alexandre Reza and a former mergers and acquisitions banker at Lazard in New York. 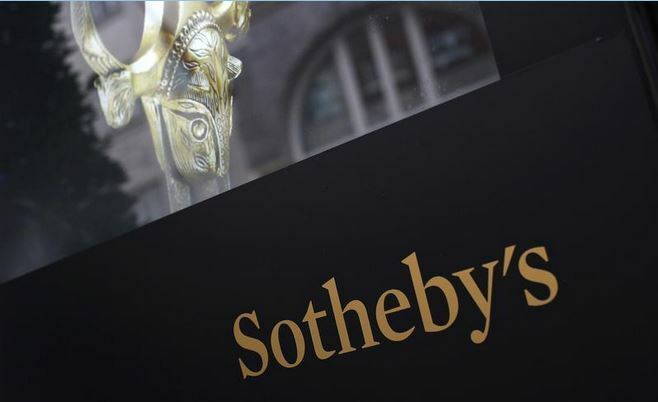 Sotheby’s said on Jan. 29 that it will pay investors a $300 million special dividend and buy back shares. The company said it would buy back stock worth $150 million under a new share repurchase program – including $25 million this year – and announced plans to separate the capital structure of its auction and private sales business from its art lending unit as well as outlining $22 million of cost cuts in 2014.